Several years ago, when my kids were in elementary school, I started the tradition of serving pizza for dinner on Friday nights. I had no idea that years later this tradition would still be in place, and that it would give my kids something to look forward to and be something they depended on. I started making homemade pizza for a couple of reasons. It’s nice to be able to have an answer to every moms favorite question: “What’s for dinner?” – even if it is only once a week. As much as my family loves pizza, I needed to save money because I was spending a small fortune on having pizza delivered. It’s just a simple recipe from my KitchenAid mixer cookbook, but it has brought my family around the table now for over 500 Friday evening dinners. And sometimes Saturday nights, too, if I’m being honest. Need some words of encouragement? TLSM offers free podcasts for a variety of topics. Check them out HERE! It didn’t take more than a couple of Friday nights in a row for my kids to expect pizza for dinner. I knew a tradition had been formed one Friday morning. Before school, I overheard my kids discussing which movie they wanted to watch that night with pizza. It was then that I realized I was serving more than pizza for dinner. I was giving my kids something to look forward to. I was instilling in them the importance of regular family time, and I included them in the fun activity of making the pizza. As parents, we often think we need to make grand gestures and spend money on the latest and greatest gadgets. We give our kids trips to Disneyland just to show them we love them. That’s simply not true. They just want and need us to be present and consistent. Our kids need to know that we are, and will always be, a soft place to land when they’ve had a rotten day at school, and that when life is grand we will be their number one cheerleader and celebrate their wins with them. Being a mom is one of life’s greatest blessings, isn’t it? 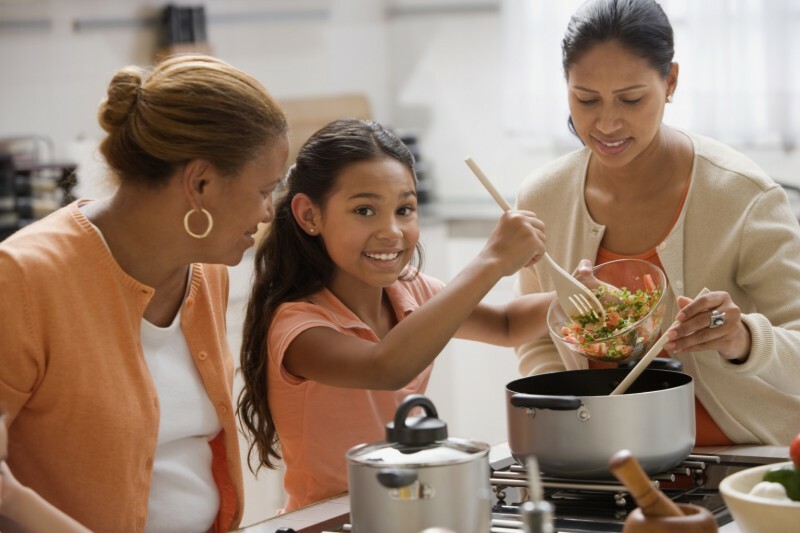 What are some of your favorite family traditions? Erin Bishop is a writer, speaker, and Founder and Executive Director of the Whatever Girls Ministry. The Whatever Girls purpose is to empower girls, support moms, and inspire dads. Erin founded Whatever Girls as a preemptive strike for her daughter and her friends heading to middle school. It was designed to encourage and equip teen girls and their moms as they navigated through their teen years. The Life of a Single Mom is a national, faith-based, nonprofit that exists to see that no single mom walks alone. Our primary focus is in helping churches and communities launch single mom’s ministries. We have done so more than 1,500 times! Our support groups connect 71,000 single mothers each year to a local church. We are a one-stop shop for all things single mom ministry related. For more information, visit https://thelifeofasinglemom.com.